If you're looking for insight into the hows, whys, and whats of corporate venture capital investing, a good podcast, webinar, or video may provide helpful information and a dose of inspiration. To get you started, here are excerpts and summaries from a handful of podcasts or webinars on the topic. The first two came from conference presentations that Startup Grind posted earlier this year. The volume of venture investing has grown dramatically since 2008 in terms of dollars invested and deal numbers, according to Banse. Corporate venture investing has grown similarly. In 2015, of the $60 billion invested in 4,500 deals, $7.6 billion came from corporate venture arms, which represented about 905 of those deals, or about 20 percent. "The number of active corporate VCs has jumped dramatically as well, adding almost 20 just last year," says Banse. Comcast's venture arm, founded in 1999, is among the top 10 most active corporate VC firms, according to CB Insights. Why do companies like Comcast, Google, and Intel have a corporate venture arm in the first place? "One is, of course, we do it for the same reasons that institutional funds do it. We want to invest in high-growth companies and hopefully make a little money in the process," says Banse. Venture capital investing also provides "more R&D and the opportunity to gain access to talent, to trends and to insights ... We have increasingly felt that it is tough to keep pace with change ... and certainly one way to keep your finger on the pulse of that change is to be having conversations on a regular basis with startups and entrepreneurs and understanding from them what they see as cutting edge both in terms of technology and customer service," she says. There are also a variety of reasons why startups seek funding from corporate venture, says Banse, including the possibility of support from a company in an industry where the startup wants to grow, access to potential customers, including the corporate investor, and financial flexibility. "We have a really strong history of supporting our portfolio companies through good times and bad," she says. Levie's talk shows that corporate-startup partnerships can be vital to both sides. "We spent a decade essentially competing with Microsoft — everybody will have their version of this big lumbering competitor and incumbent in your industry...As the disruptor you have to decide, do you want to partner or do you want to do an aggressive attack on the incumbent? And the incumbent has a choice, which is do I try and stamp them out, do I block them off completely, do I sue them, or do I just sort of wait to see how the market pans out and then just adapt from there?" Levie says. For much of the 2000s, Microsoft acted as if the outside tech industry didn't exist and kept building out its own technology, as the world moved on to iPhones and Android devices and Salesforce.com and Amazon Web Services, Levie says. That changed after Satya Nadella became Microsoft CEO in 2014. "And what Satya said when he came in was, he said, 'Hey wait a second, when we thought the world wasn't changing it actually completely transformed around us, and we look outside of Redmond and we see so many new technologies, so many new companies, so much new innovation, we have to find a way to work with that ecosystem. And so they've taken an approach that used to be almost like competition-only-partner-never, now they've inverted it completely, which is sort of partner-first-competition-second... The market size and the opportunity size for technology is so massive that we're no longer in this zero-sum world," Levie says. In the next five or 10 years, the scale of software productivity, technology, Internet and mobile devices could easily multiply two or three times, according to Levie. "Microsoft is realizing the only way to actually capture that opportunity is, we've got to build software for the iPhone, we have to build software for Android, we have to be able to partner with Salesforce, we have to open source our technology, and so they've really flipped more than we have. We've always been a very we'll-partner-with-all-of-the-incumbents kind of approach," Levie says. In this slide presentation, Estes address the question why a company should innovate. "A company that does not innovate to create new growth opportunities will be reduced to being a purveyor of commodity products and services on its way to oblivion," Estes says. Every company, according to Estes, needs to figure out what the strategy is and what it needs to deliver on its strategy, where it will find the solution, inside or outside, by making or buying it, and how it manages the process of delivering the solution. "One of the most important things you can do is, up front, determine what are your goals for your innovation program? What are you trying to accomplish, what are you trying to get out of it?... Unless you know where you're going, you're never going to get there," Estes says. Strategic venture investing into early-stage startups is one way to innovate, he notes. There are several benefits of corporate VC investing, according to Estes: access to new technology, ability to hedge R&D bets, access to new markets, financial returns, access to talent, first look at potential M&A, and preferred pricing. One study showed that the amount of innovation delivered through VC investment, dollar for dollar, actually is quite a bit higher than corporate R&D. An outside startup has less red tape and can get to market faster, and is focused on "getting to market and making a lot of money, so good enough is good enough," Estes says. At a big company, he notes, engineers may want to keep perfecting the technology and it never gets out of the lab. "There is a big benefit to doing VC if it's done correctly," Estes says. A company's CVC can affect internal innovation in several ways, including developing a pool of growth options; cultivating disruptive technologies, and businesses, new markets, technologies and business models; supporting an entrepreneurial culture; complementing internal abilities; building on innovative ideas from across the company; and strengthening innovation capabilities, according to Estes. Among other questions, panelists were asked how a fintech startup can be sure a bank it might work with won't take unfair advantage. Mariano Belinky of Santander InnoVentures answered that "it's very hard for a bank to move faster than a startup, so even if we tried I think we would have a very tough time doing that. But I think one of the things we learned from VC is that reputation is everything, and so we work very hard to make sure that we are known for light terms and that we maintain a... neutral stance when we invest in companies, and we are not representatives of the bank. "The bank has its own representatives, we are the facilitators, we accelerate things" but try to behave as a standalone VC and try not to impose terms that are too oppressive on a startup. 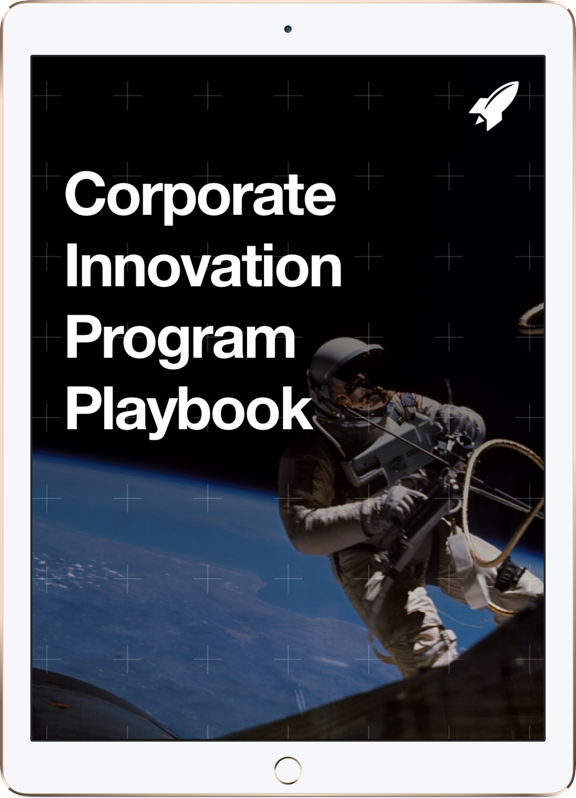 Have a favorite podcast, webinar, or video on corporate innovation? Share it in the comments below the article! 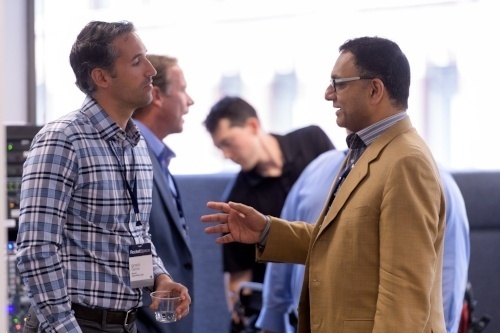 How can your company's CVC keep a pulse on the most disruptive global startups? Learn more about our Corporate Consulting Services and how we help corporations stay connected to the global startup ecosystem.